The Sapporo Metro is a public transportation system, an underground railway, located in the Japanese city of the same name. This transportation system has three operational lines, 49 stations, and a total length of 48 kilometers. This metro is unique since it uses rubber wheels. It was inaugurated on 1971, and is the fourth transportation system of this kind in Japan. Many of the Sapporo Metro stations are semi-superficial because they need to be protected against snow during the cold winters. The ticket price for the shortest trip between two stations is of 200 yen (1.81 USD). There are many other prices available. Service starts at 6:15 in the morning and ends at midnight. Sapporo is a city located in the north of Japan, in the southern part of the Hokkaido island. The city has almost two million inhabitants, making it the fifth most populated city in Japan. This city is relatively new, since it was founded on 1869 by the Menji dynasty to remove the Hakodate dynasty from this region. For this reason, this city was not built in the traditional Japanese way. Instead, the city was built with a western influence in mind. As a consequence, the city was planned to have a lot of parks. Around 2700 parks were built. From all of these parks, the Botanic Garden became one of the main highlights. Since it is located in the north of Japan, Sapporo is one of the coldest cities in the country with its freezing winters and its temperate summers. This fact has made Sapporo a popular place for winter sports. The city even got to host the 1972 Winter Olympic Games. Thanks to the Hokkaido University, Sapporo has turned into one of the biggest college locations in the country. The Sapporo Metro travels a distance of 48 kilometers throughout Sapporo. It was inaugurated in 1971 with only one line. It's a rubber-tyred metro system, unique in the world. It uses a single central rail to guide the metro, instead of using guide bars like other rubber-tyred metros. Manager: Sapporo City Transportation Bureau (札幌市交通局 in Japanese). Since many decades ago, Japan has been in the forefront in regards of the construction of transportation systems, especially in ground transportation. During the 1960s, the city of Sapporo had significant technological improvements in regards of ground transportation. As a result, the bus and tramway services were becoming obsolete due to their old technology. Also, the city was chosen to host the Winter Olympic Games. These two facts resulted in the development and construction of the metro. During these years, a high number of tests were run for the new transportation system. The initial plan was to build a monorail that could make transfers to the tramway system. From the beginning, the metro was planned to have rubber wheels. The metro was initially being developed by the private sector. However, they also got support from the public sector. After getting support from the authorities, the metro’s construction began with the help of the city hall and with support from the central government. In February, 1971, Prince Akihito and his wife tested the first train from the metro. Finally, on December, 1971, the Sapporo Metro was inaugurated. The Sapporo Metro may not be big, but with its 49 stations and three lines, it has connected the city to places that are far away from Sapporo. In other words, this system is a vital means of transportation in the city. This was the first line to be inaugurated, making it the oldest line from the Sapporo Metro. It was inaugurated on December 16th, 1971. It is green, it has a railway length of 14.3 kilometers, and has 16 stations. The last expansion for this line was done in 1978. This line gives transportation to the districts of Kita-ku, Chuo-ku, Toyohira-ku, and Minami-ku. The Namboku line offers trips from the north of Sapporo to the south of the city, and its terminal stations are Asabu and Makomanai. The journey from Asabu to Hiragishi, throughout all of the 12 stops between these two stations, is entirely underground. In contrast, the trip from South Hiragishi to Makomanai is entirely at surface-level. It is the longest line from the Sapporo Metro, with a railway length of 20.1 kilometers. The line was opened to the public on 1976, and has 19 stations. It is orange. The Tozai line gives transportation to the districts of Nishi-ku, Chuo-ku, Shiraishi-ku, and Atsubetsu. Its last expansion was finished on 1999. This line allows trips from East to West, and connects to the other two lines at the Odori station. Its terminal stations are Miyanosawa and Shin Sapporo. It also has two stations that allow transfers to the Sapporo Tramway. This is the most recently built line for the Sapporo Metro. It was inaugurated on 1988. It is also the smallest line from the Sapporo Metro, with a length of 13.6 kilometers and a total of 14 stations. It is sky blue. This line offers transportation to the districts of Higashi-ku, Chuo-ku, and Toyohira-ku. The last expansion for this metro line was finished on 1994. This line has the most modern trains from the entire Sapporo Metro. It connects the Sapporo suburbs to downtown Sapporo since it also allows trips to the Odori station and the main station for the city’s trains. The terminal stations are Sakae and Fukuzumi. The Sapporo Metro was inaugurated on 1971. However, before this year, there already was an organized public transportation system, which was comprised of buses and tramways. The Sapporo tramway network is one of the two tramways available in the Hokkaido island, alongside the Hakodate tramway. It was inaugurated on 1909, making it a relatively old system, and was the most important system of urban transportation for many decades. The tramway system has two lines. One of these lines is in the southwest of the city, and has a circular railway. The second line has four zones: Ichijo, Yamahana-Nishi, Yamahana, and Toshin. The entire system has a length of slightly more than 8 kilometers. The Sapporo Tramway allows transfers to the Sapporo Metro. In other words, tickets for the tramway can also be used on the metro. Connections between the tramway and the metro are available in six stations. The first station is Nishi-Yon-Chome, which is one of the most important stations because it is connected to the Odori station, where the three lines from the metro join together. 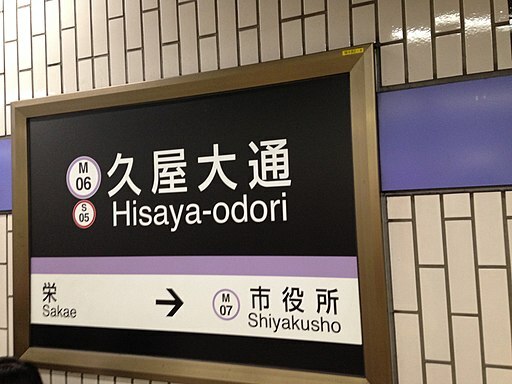 The next stations that allow connections are Chuo-Kuyakusho-Mae station, which is connected to the Nishi-Juitchome station in the Tozai line, and Nishi-Jugo-Chome station, which is connected to the Nishi-Juhatchome from the Tozai line. The next station is Horohira-Bashi from the Namboku line, which is connected with the tramway station Seishugakuen-Mae. The fifth station where transfers are available is Nakajima-Koen, which is connected to the Yamahana-Ku-Jo tramway station. Finally, the last station where connections are available is the Susukino tramway station, which is connected to two metro stations: Susukino, and Hoshui-Susukino, from the Namboku line and the Toho line respectively. Buses are another important means of transportation in the city of Sapporo. However, since 2004, these buses became private, so they are not managed by the Sapporo City Transportation Bureau any longer. Therefore, it can be complicated to make transfers between the metro and the buses. Regardless, there are hundreds of bus stops in the metro stations. Therefore, the bus system is frequently used by tourists and citizens of Sapporo. Suburban trains and long-distance trains are also private in Japan. In the Hokkaido island, railway services are managed by Hokkaido Railway Company, frequently known as JR Hokkaido. Three lines from this system make trips to the city of Sapporo: the Hakodate line, the Chitose line, and the Sassho line. The city of Sapporo has two airports. The first airport is the Okadama Regional Airport, and the second one is the New Airport of Chitose. The latter is an international airport. The Okadama airport is shared by both the Japanese army and the regular public. This is the closest airport to the city, and it is easy to reach this airport via the metro. The Sakae station from the Toho line is just 1.2 kilometers from the Okadama airport. Also, there are transfers available at the airport to many bus lines, such as Hokuto, which offers rides directly to Odori station and to the Sapporo central station. Another bus company that offers rides to the airport, Hokkaido Chuo, also offers rides to the stations of Sakae, Shinoro, and Asabu, all of which are from the Namboku line. The second airport, the Chitose New Airport, can be reached via railway services. This is the biggest airport in the Hokkaido island, and it is the fifth busiest airport in Japan. Since it is farther away from Sapporo than the Okadama Airport, you have the option of using train services to reach the Chitose airport. You could also use bus services to reach this airport. This airport has its own train station, which belongs to the Chitose line from the Hokkaido Railway Company. This line offers journeys to the Sapporo station, where transfers are available to the Namboku and Toho lines from the metro. The trip from the airport train station to the Sapporo station lasts between 36 and 39 minutes, and costs 1070 yen (9.69 USD). Also, there are many bus lines that make trips from the Chitose airport to stations from the metro, such as the Hokkaido Chuo Bus. This bus line offers journeys to the metro stations of Sapporo and Asabu. The three metro lines from the Sapporo Metro system operate in a schedule from 6:00 in the morning until midnight. Regardless of the day, the Sapporo Metro operates 18 hours a day without interruption. The departure frequency varies depending of the line. For starters, the Namboku line has a terminal in Asabu. Seven trains per hour leave this station at 6:00 in the morning. However, the number of trains that leave this station per hour quickly increases to 15 by 8:00 in the morning, and to 17 by 9:00 in the morning. Then, the number of trains per hour that leave this station ranges between 8 and 9 trains until 4:00 pm, when it increases to 10. At 5:00 pm, the frequency of departures is of 12 trains per hour. Then, at 7:00 pm the number of trains leaving decreases, ranging from 7 to 8 trains until 11:00 pm. At midnight, only one train leaves the Asabu terminal. The terminal station Shin Sapporo from the Tozai line starts service at 6:00 in the morning, with 9 trains initially available. One hour later, the number of trains available increases to 14. From 9:00 in the morning to 4:00 in the afternoon, the departure frequency ranges between 9 and 10 trains per hour. From 4:00 in the afternoon to 6:00 in the afternoon, the departure frequency increases to 12 trains per hour. From 7:00 pm, the frequency of departures is 9 trains per hour, and starts to decrease. At 11:00 pm, there are only six trains per hour. Finally, at midnight, there is only one train available. The Sakae station, which is a terminal from the Toho line, starts service at 6:00 am, with an initial frequency of departures of 7 trains per hour. Just like in the previous two lines, this frequency increases between 7:00 am and 9:00 am. During these times, the frequency of departures is of around 14 trains per hour. From 9:00 am to 4:00 pm, there is a constant frequency of 8 trains per hour. Between 10 and 11 trains per hour are available from 4:00 pm to 6:00 pm. At 7:00 pm, just like in the previous two lines, the frequency of departures starts to decrease, ranging between 7 and 8 trains per hour. Between 9:00 pm and 10:00 pm, there will be only six trains per hour. Finally, at midnight, there will only be one train. The Sapporo Metro’s fares depend upon the distance travelled. Before getting a ticket, it is important to know your destination. Zone 1: 200 yen (1.81 USD) for adults, and 100 yen (0.90 USD) for children. Zone 2: 250 yen (2.26 USD) for adults, and 130 yen (1.18 USD) for children. Zone 3: 290 yen (2.63 USD) for adults, and 150 yen (1.36 USD) for children. Zone 4: 320 yen (2.90 USD) for adults, and 160 yen (1.45 USD) for children. Zone 5: 350 yen (3.17 USD) for adults, and 180 yen (1.63 USD) for children. Zone 6: 370 yen (3.35 USD) for adults, and 190 yen (1.72 USD) for children. It is recommended that tourists that travel within the city many times per day buy the Daily Ticket, which allows unlimited trips within a day. This ticket costs 830 yen (7.52 USD) for adults, and 430 yen (3.89 USD) for children. There is a similar ticket, called the Dochinika Ticket, which has a price of 520 yen (4.70 USD) for adults, and 260 yen (2.35 USD) for children. This ticket can be used only on Saturdays, Sundays, national holidays, and from December 29th until January 3rd. There are also tickets that offer transfers with the city tramway and the bus system. The prices for these tickets also depend upon the distance travelled. The Sapporo Metro also offers a card, which offers passengers trips within many transportation services available in the city. This card is called SAPICA, which can be used for rides in all of the Sapporo Metro stations, in the Sapporo Tramway, and the buses from the companies JR Hokkaido, Joetsu Buses, and Hokkaido Chuo Buses. There are two main ways to get the SAPICA card. The first way is to buy an Open Card, which can be used by anyone, and costs 2000 yen (18.11 USD). From this amount, 500 yen (4.53 USD) will be a deposit for the card. The second way is to get a Registered Card, which can be used only by the buyer. This card has the same price as the Open Card. The Registered Card can also be bought for children, as long as they show their ID. SAPICA is not the only card available. Other cards that also work on the Sapporo Metro are Kitaca, PASMO, Suica, Manaca, PiTaPa, ICOCA, TOICA, Hayakaken, SUGOCA IC, and Nimoca. Children under one year old can travel for free on the metro. Similarly, children under six years old have the possibility of getting a discount if they travel with an adult and with other children. Japan is a super populated country. This is seen in the high number of cars that drive each day within the city, which also cause pollution. For this reason, the Sapporo Metro offers Park and Ride facilities, which encourage passengers to leave their car and use the metro. Many other transportation services in the world offer Park and Ride facilities to reduce pollution from cars. There are two parking lots. The first one is in Nijuyonken, an underground parking lot with 200 parking spots. It has a direct connection with the Ken Nijuyon station from the Tozai line. The parking lot’s fares vary depending on whether you want to park a car or a motorcycle. For cars, the parking cost for the first hour is 170 yen (1.54 USD), and each additional 30 minutes of parking will cost 90 yen (0.82 USD). Meanwhile, Park and Ride services for cars have lower prices. The first hour of parking in Park and Ride facilities has a price of 120 yen (1.09 USD), and you will be charged 60 yen (0.54 USD) for each additional 30 minutes after that hour. In case of motorcycles, the regular parking service costs 200 yen (1.81 USD) for one day, while the Park and Ride service costs 140 yen (1.27 USD). It is possible to pay a monthly pass or a pass for the winter. The second parking lot is Makomanai, which is located adjacent to the station of the same name in the Namboku line. This parking lot is exclusively for cars. The cost for the first hour of parking is of 100 yen (0.90 USD), with an additional charge of 50 yen (0.45 USD) for each additional 30 minutes of parking. It is also possible to buy a monthly pass. Since the metro charges you depending on the distance travelled, it is important to know your final destination before boarding the train. If you do not speak Japanese, memorize some phrases. Regardless, the name of the stations are also written in English. Be aware of the seats reserved for senior citizens, and of wagons that are exclusive for women and children. This system does not have air conditioning in its trains because the city of Sapporo has cold weather, so it is not considered necessary. The guiding mechanism of the Sapporo Metro is almost unique in the world. The metro is moved by a central guiding rail that moves the rubber wheels. There are three big shopping centers within some of the metro’s stations. These stations are Sapporo, Susukino, and Odori from the Namboku line. Clock Tower: This is a small historic building, and is considered the oldest building in the city. During its beginnings, it was part of the Sapporo Agricultural College, which was the predecessor of the Hokkaido University. It is really close to Odori station. Hokkaido’s Modern Art Museum: To reach this museum, you have to disembark in the Nishi station from the Tozai line. This museum has a vast collection of modern works, especially those made from glass. There are also different types of courses taught in here. Sapporo’s TV Tower: This is one of the architectonic highlights of Sapporo. To reach it, go to Odori station, preferably from the Toho line’s exit. It was inspired by the Eiffel Tower. It is 90 meters high, and has an observation point in its top part.